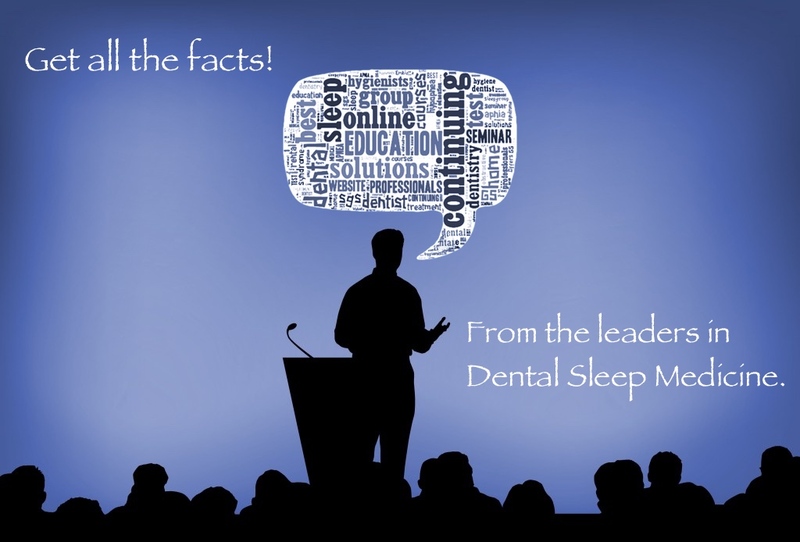 For nearly ten years, Sleep Group Solutions has successfully trained many Dentists’ from around the world on properly implementing a Dental Sleep Medicine protocol. Pioneers in Dental Sleep Medicine Education, instrumentation, and in-office training, SGS offers the industry’s most comprehensive selection of CE seminars. Find out more about SGS’s Dental Sleep Medicine course!